Facebook’s year to forget just keeps on getting worse and worse. Following the latest scandal in the New York Times, CEO and Chairman Mark Zuckerberg brushed off suggestions that he would be stepping down from his Facebook throne. Suprised? No, I didn't think so. The NYT article, titled Delay, Deny and Deflect: How Facebook’s Leaders Fought Through Crisis, was just the latest in a whole line of problems the company has faced this year. Cambridge Analytica, election meddling, hate speech, it’s all part of the social network's day-to-day firefighting. With a network of more than 2 billion users, Facebook has proved unable (or perhaps unwilling) to keep its house in order. Zuckerberg also said that Sheryl Sandberg will remain in her position as COO. “I’m really proud of the work we’ve done together and I hope that we work together for decades to come”, he said in the interview. Sandberg has reportedly been worried she was about to get fired. An understandable concern when you consider she oversaw the practices that lead to Cambridge Analytica harvesting the personal data of millions of people's Facebook profiles, and that she failed to spot Facebook using a PR firm to smear critics. And the fact that in September, Sanberg admitted that the company was too slow to act on privacy concerns, so sorry users! Anyway, Zuckerberg hopes that the pair can continue this excellent work for another decade. I don’t know what you were worried about, Sandy. I am struggling to think of another company CEO that could survive this much negative press, scandal, attention from lawmakers and the European Union, and still not budge an inch. Big tech loves an outspoken rogue. The kind of genius philosopher figure who says what nobody else is thinking, in the name of foreseen innovation and creativity. You only have to look at the rise and fall of Elon Musk, to see the full cycle in all its glory. Zuckerberg is yet to smoke a spliff on the Joe Rogan podcast or take to Twitter to rattle investors, but honestly, I think he probably could and get away with it. 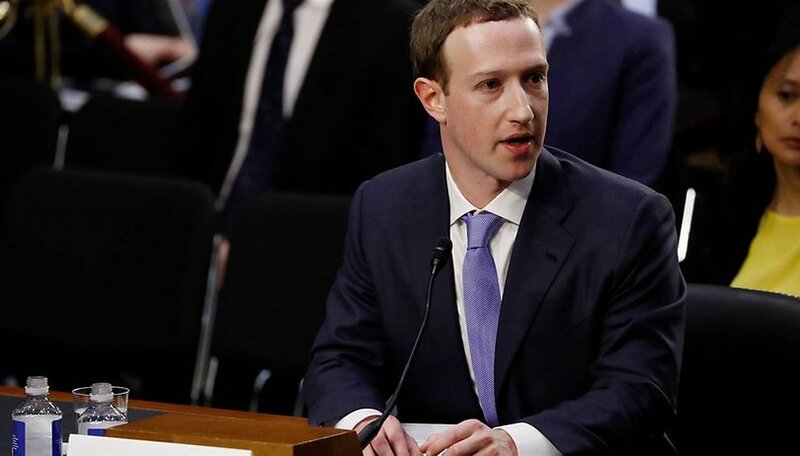 What strikes me every time I see Mark Zuckerberg interviewed on TV - or in front of the cameras to testify before Congress - is just how bad he is at the whole politician's evasive answer thing. On CNN, he looks visibly terrified, at least to me, whenever a new question is asked. I appreciate that he knows the line inquiry is not exactly going to be breakfast television’s “so, tell us about your new book Mark”, but it makes you wonder, doesn’t it - how much is Mr Zuckerberg keeping locked in the closet? You know what his demeanor reminds me of? He looks like how I felt when I was a kid and my parents would sit me down for a serious chat. I knew that had something. A mistake had been made somewhere, information had been leaked, my coverup had failed and I was in trouble for something. But what? Was it the bad thing? Or the really bad thing? This perception was echoed by Mark Weinstein, Founder and CEO of the pro-privacy, anti-data mining social network MeWe, who told me that Zuckerberg's expression looked like that of a kid who thinks he just got away with everything - a bit sheepish and pretending everything is ok. "He thinks he is a master at deception but it is painfully easy to see his bad acting and that he truly is an emperor with no clothes," said Weinstein. The online privacy expert and author of several books on the subject rarely pulls any punches when talking about how he feels about Zuckerberg and the empire he runs. "As always he determinedly defends himself and completely avoids the core issues of what Facebook truly is (a marketing and transactional data company), and what Facebook does (stalk, spy, target, manipulate, censor). It is time for all of us to get out of the clutches of this somnolent brainwashing trap called Facebook." We have already seen the peak of Facebook, it's downhill from here. What do you think about Mark Zuckerberg’s latest interview? Let us know in the comments below. The best part is that Sheryl Sandberg is probably secretly behind this whole thing in a palace coup. She brought in the oppo firm knowing that it a.) might work b.) could all be left on Zuck's doorstep if it came to light. FB is slowly but surely fading into oblivion.